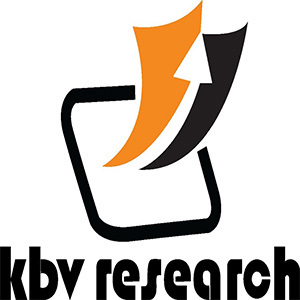 According to a new report Global Dialysis Market, published by KBV research, The Global Dialysis Market size is expected to reach $124 billion by 2024, rising at a market growth of 5.7% CAGR during the forecast period. The In-center Dialysis market would dominate the Global Dialysis Market by End User by 2024. The Home Dialysis market is expected to witness a CAGR of 6.7% during (2018 – 2024). The In-center Dialysis market is expected to witness a CAGR of 5.3% during (2018 – 2024). The North America market dominated the Global Services Market by Region in 2017. The Europe market is expected to witness a CAGR of 4.2% during (2018 – 2024). Additionally, The Asia Pacific market is expected to witness a CAGR of 6.4% during (2018 – 2024). The Hemodialysis market dominated the Global Dialysis Market by Type in 2017, and would achieve a market value of $78,050.3 million by 2024, growing at a CAGR of 4.9 % during the forecast period. The Peritoneal Dialysis market is expected to witness a CAGR of 7% during (2018 – 2024). The market research report has exhaustive quantitative insights providing a clear picture of the market potential in various segments across the globe with country wise analysis in each discussed region. The key impacting factors of the market have been discussed in the report with the elaborated company profiles of Fresenius Medical Care Ag & Co. Kgaa, Baxter International, Inc., Davita Inc., Nipro Corporation, B. Braun Avitum Ag, Diaverum Deutschland Gmbh., Nikkiso Co. Ltd., Nxstage Medical, Inc., Cantel Medical Corporation (Medicators, Inc)., Asahi Kasei Corporation.